The summer months are here! Cue the golden skin, saltwater waves, and no-makeup make-up looks we love to sport. 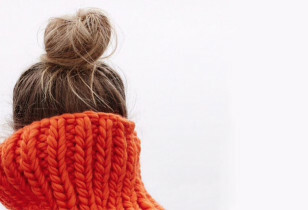 And with that, a likely swap of a few products from one’s winter beauty routine. Sunscreen becomes an extra important must, and many of us look to lighter alternatives to thick moisturizers and heavy creams. Here to help in the quest for an ideal summertime lineup is Mother’s resident beauty junkie, James Kicinski-McCoy. 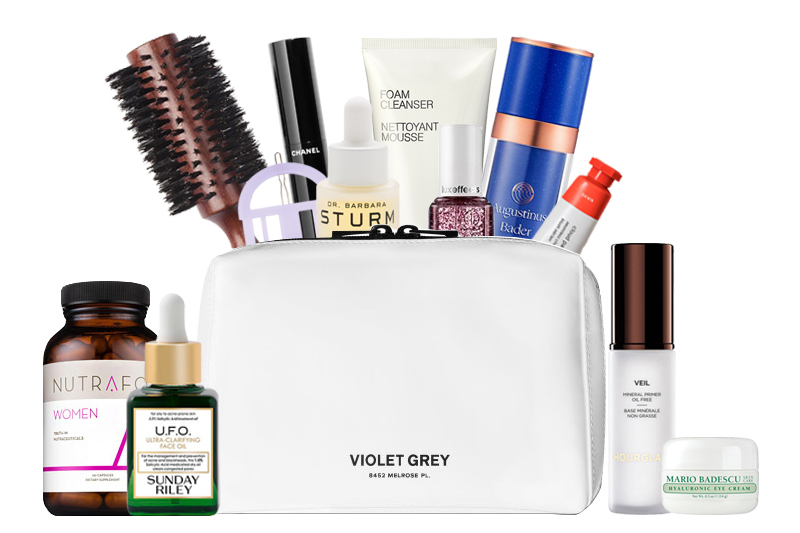 Below, the seasoned skincare enthusiast and collector of all things beauty shares 10+ products she’s been calling upon this season, including a rockstar anti-aging serum, a promising supplement for thinning hair, a stay-all-day primer, and a few exciting new releases. After all, ’tis the season for self-care and radiant looking skin. “I’ve talked about my love for Sunday Riley’s Saturn Mask in the past. I use it as a treatment for pesky breakouts. I just started using the brand’s UFO Oil, which is a tea tree oil-based elixir that goes hand-in-hand with the sulfur-rich mask. It packs a punch with 1.5% salicylic acid and is a great, fast-absorbing, dry oil to target clogged pores and blemishes. I haven’t had a single breakout since!” UFO Ultra-Clarifying Face Oil, $40, Sephora. “Mascara is the one makeup product that I can’t seem to go without—hello barely-there, blonde lashes! I have tried just about every brand I have come across over the years and I must say, I found a new favorite. Leave it Chanel to make the very best. It only takes one to two coats max to get full, long, dark lashes, and that’s never been the case with other mascaras.” Le Volume De Chanel Mascara, $32, Nordstrom. “I finally got my hands on some of the cult-favorite Dr. Barbara Sturm products. I’ve been using the Super Anti-Aging Serum religiously ever since it landed on my doorstep. Coined as an anti-aging cocktail, this potent concentrate is insanely moisturizing, and loaded with long- and short-chain hyaluronic molecules that will actually change the skin for the better. The price point is quite steep, but I can’t imagine my beauty routine without it. And, a little goes a long way, so if you breakdown the cost month by month, it’s actually not bad compared to receiving regular facials.” Super Anti-Aging Serum, $350, Dr. Barbara Sturm. “A luxurious and gentle cleanser that leaves my skin free of makeup residue without the need for a double cleanse is a time-saving dream come true! 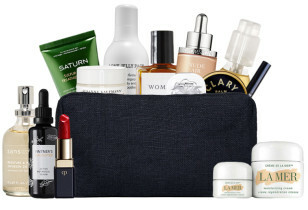 I am thrilled to cut a step out of my nighttime skincare routine.” La Prairie Foam Cleanser, $85, Nordstrom. “I am loving the new Cloud Paint colors that Glossier recently released. Especially the sunset, orangey hue that they call Dawn. The creamy, paint-like formula glides on and blends perfectly to leave a summer-perfect cheek.” Cloud Paint in Dawn, $18, Glossier. “I’m obsessed with these cute hair clips from Kanel. Not only are they fun and colorful, but this large lavender barrette gives me a quick, easy, and chic way to throw my hair up on hot and muggy days.” NR. 13 Light Purple, €40, Kanel. “I met a couple of girlfriends for our regular mani/pedi a couple of weeks ago, and when combing through the hundreds of color options, I was drawn to a pretty, pinkish glitter-filled bottle that was totally out of my comfort zone. Needless to say, I went with it, and walked out with fingernails that were sure to make my seven-year-old daughter jealous. I am now sold that I made the right choice and will be keeping the metallic sparkle going all season long.” A Cut Above Nail Polish, $9, Essie. “This wallet-friendly eye cream is a best-seller for a reason. Just read the countless reviews—fans love it! The gentle formula leaves the skin around the eyes supple and moist, and it helps fight against milia, puffiness, and dark circles.” Hyaluronic Eye Cream, $18, Mario Badescu. “As I get older, I have noticed big, not-so-fun changes in my hair. It’s getting thinner, looks stringy, and I keep telling my husband that I think I’m balding. He laughs at me and says ‘No, you’re not.”, but I swear to you that I am. I’m happily trying out the critically-acclaimed hair supplement Nutrafol over the next few months and crossing my fingers and toes that it helps with regrowth. I’m hopeful—just look at these before and afters!” Nutrafol Women, $88, Nutrafol. “I was sent this highly-coveted cream from Augustinus Bader that has been getting rave reviews from Beauty Editor’s everywhere. It is said to reduce fine lines and wrinkles in as little as seven days—yes please! I am on day four and I can already see and feel a difference in the texture of my skin. Instant fan right here!” The Cream, $265, Augustinus Bader. “One of the girls in my office was raving about the new primer from Hourglass. I am usually not one to use a primer, but was quickly convinced that I needed it after she attributed her flawless-looking complexion and makeup application to this magical stuff. I ordered immediately, and now I, too, am feeling pretty flawless, post primed.” Veil Mineral Primer, $54, Sephora. “Lastly, I had to add this rounded brush from one of my go-to beauty sites Cos Bar. It’s large and in-charge, and gives my lifeless hair more volume than I ever thought possible. It reduces breakage and frizz, too. Highly recommended!” Raincry Pure Boar Bristle Smoothing Brush, $70, Cos Bar. Makeup bag by Violet Grey.